During a business trip to Brussels early this year it was my turn to get puzzled by the fact that Belgians juggle with at least three languages Dutch, French and English. Historically Dutch-speaking, Brussels now inhabits mostly French-speaking people. To the respite of visitors from outside (read tourists) there are these green friendly signboards that mandatorily include English text, so life becomes tad easier while figuring out whether to alight at Porte de Namur or Naamsepoort (both incidentally are the names for the same train station – the nearest metro station for my current employer’s Brussels office — albeit in different languages) . 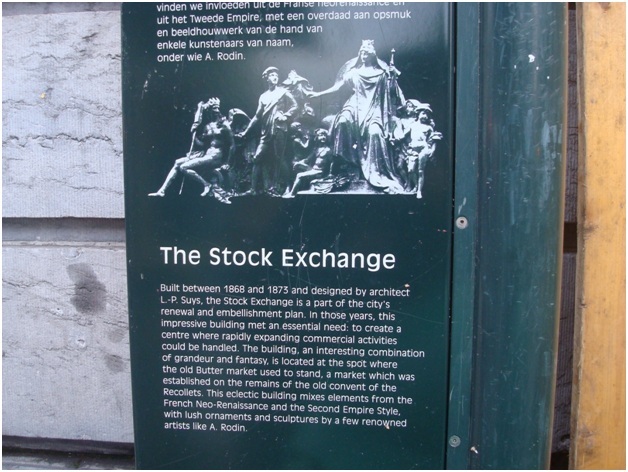 The tourist friendly signboard outside the “Bourse” at Brussels. During my Germany trip a year before I had seen a similar love for the national language; all road signs, newspapers, television programs were in German. On one occasion I visited a museum, having paid a hefty 11 Euros entry fee, when I discovered that all signs and descriptions inside were in German. Although I was able to walk through the museum like a kid who doesn’t know how to read yet and takes puerile delight in just looking at the things around. When most of the paper publications around the world are dying and moving to their digital avatar, Germany perhaps is the only nation to publish a monthly magazine on Java in German. Belgium possibly is the largest publisher of Comics (including the famous Tintin) and it’s difficult to find them in English except perhaps at places like Waterstones. I wish we could take the same pride in our national language Hindi. 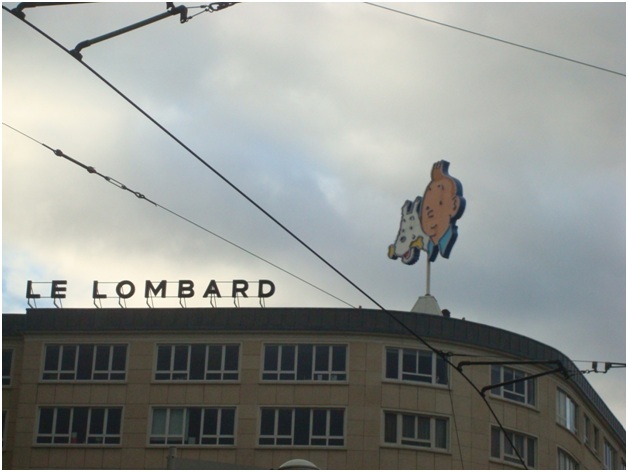 Brussels must be the comics capital of the World, a building near the Brussels Midi (central) train station. But back to finishing the anecdote I wanted to share. At Brussels, the love for French language was made evident to me in two incidents. The first one was when I, with a colleague, was looking for the “boutique” to buy the “Mobib” card (a monthly digital bus/tram ticket) at the North Station. On the ticket counter was this elderly gentleman, who I innocently posed the question to about the card. Now French is all Greek to me, but from his tone, expression and lip movement I could easily gather that in his reply he was emphatically telling me that “English works in America, speak in French here”. We left the counter sheepishly and could luckily spot the Boutique counter just besides him. In the other incident however the person was more polite. During a visit to local hospital (yes the Brussels cold did get me) a doctor of African origin started with a barrage of questions in French while examining. I stumbled and, fearing that due to the language issue he might diagnose my seasonal Flu as something graver, prayed, “In English please!” The Doctor very patiently told his patient, “No, No, but you must speak a little French”. When I was leaving I didn’t want to lose the opportunity and quipped “Merci”, visibly delighting the Doctor. I was finally slightly able to deal with a foreign language. Next PostNext So, less educated drivers cause more road accidents? Think again.